I have only ever written a handful of ‘reviews’ on this site – it has never been the purpose of the platform in any way – and still is not, but for a few reasons I like to engage with the process. Primarily the review allows a new connection to the work and a deeper engagement with it – positive or negative – it demands a concretisation of loose and often fleeting thoughts. Secondly, the review, from a readers perspective should be invaluable to the author of the work – I am consistently surprised by the emphasis placed on a few ‘elite’ and selected reviewers over a true readership, especially with works that seek ‘to do’. Thirdly, any books I receive end up at Photobook Club events or, if light enough (and this is a very serious limitation) touring round different locations, getting posted to other parts of the world and being enjoyed by tens and hundreds of people. With this in mind I thought a reader’s perspective on a recent publication* from MACK and a brief comment on another would be a good start. These books were received amongst others and were unsolicited. I had originally planned to write about Ivars Gravlejs’ Early Works – a book that I took to a Winter book club in Coventry and was extremely popular, but Colin Pantall had already written a thorough piece on the book which resembled a lot of my own thoughts**. *New issues are interesting for sure but how about more reviews on older works/books that didn’t sell well/second editions etc? ** Colin’s review was posted in July – giving some cause to think that I may never be someone to write about a book when it first launches. It is inevitable that with a medium like the photobook, in which we, the reader, are given so much room to bring our own thoughts to the experience of reading, that we will find books articulating what we are thinking about at the time. I spent time with Spirit of the Bone at the same time as I was getting my head around the underlying state of the ‘visual’ that led to James Bridle’s proposal of a ‘New Aesthetic‘. The New Aesthetic – which represents a new way of looking and making, influenced by an undercurrent of computational seeing manifests itself in the everyday screenshot, glitch, timecode, manipulation or satellite image. 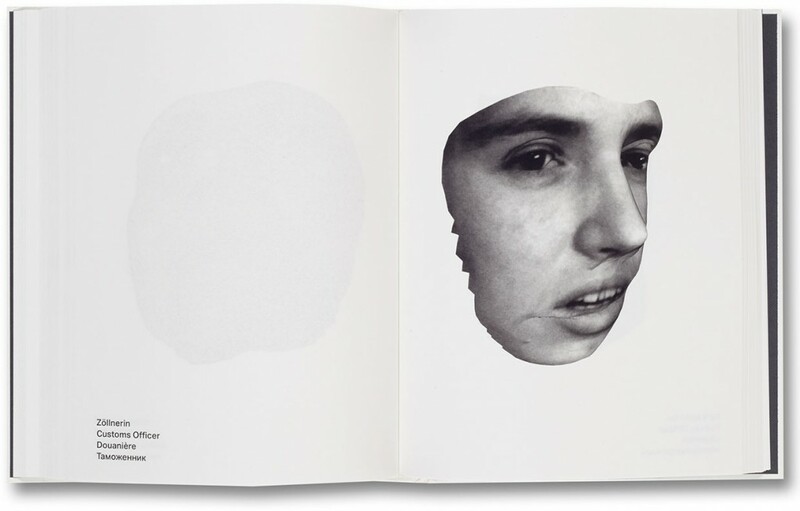 Broomberg and Chanarin’s work immediately connects with these notions of computation seeing – images in a hybrid form – recognisable not as photographs but as photographic elements. Together, the series as a taxonomy of portraits of resistance and futility is powerful. The breadth of subjects and the sense of ‘collection’ together with their lifeless representation through the cameras and software creates a highly voyeuristic reading. To compare a reading of this book with a visit to a taxidermy museum would not seem too far fetched. 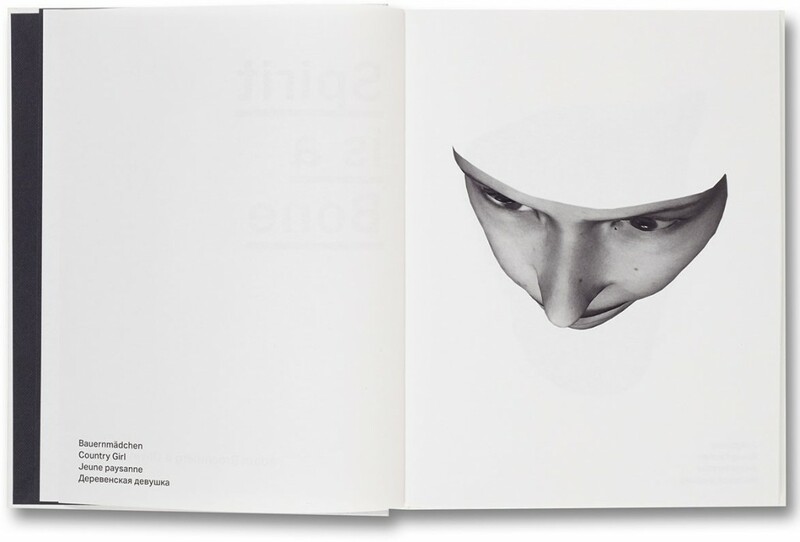 Physically the book is commanding and exquisitely printed – the separation of image from page via tip-in(?) highlighting the alienation of subject from surrounding, reduced to algorithmic visual interpretation. 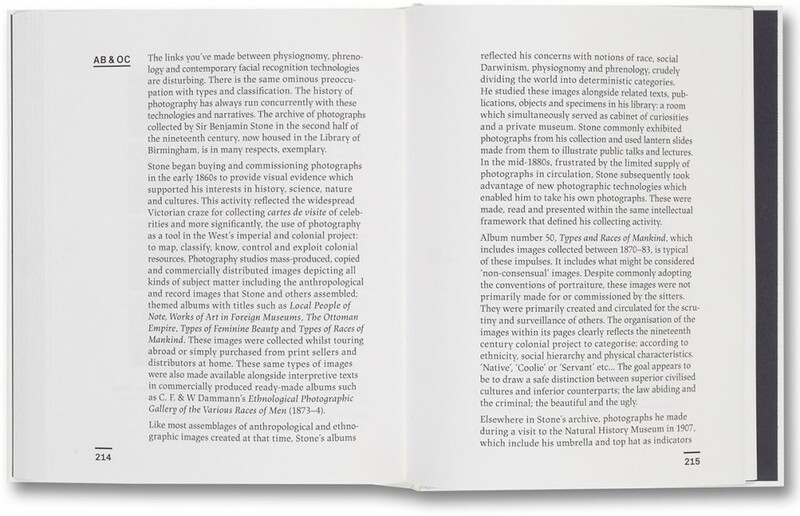 An interview follows the photographic section of the book – suggesting augmentation and addition as apposed to essential reading. The interview (between B+C and Eyal Weizman) is a little meandering. Physiognomy and phrenology give way to forensics and taxonomies, colonialism and retrospective anthropology before arriving at surveillance and facial recognition in relation to terror and modern conflict. A little more focus and some discussion on the process (including subject selection) would have improved my own reading and understanding of the work. A note on reading: Despite spending considerable time with the book, and having explored each page, I have never done so in a sitting and have not felt much has been missed in not reading the book in a single, linear fashion. I would be really keen to hear how others have navigated through books like this, and whether you feel it has had an impact on what you have taken away from the experience. Erm…. how to comment on a Roe Ethridge book? I don’t really want to comment on the work actually, as a reader I found it rather thin and was given no help in the work (Shelter Island is the only piece of tex aside from acknowledgements). For what it’s worth I figured that Ehridge was interested in speaking about the changing relationship to place (in current and past forms) that digital technology has brought about. What is really exciting about this work though is that it is a wonderfully made book, with high quality prints, of a decent size…. and for £10! Of course Ethridge’s name likely helps keep the edition size up and cost down but to know that works of this quality can be sold for £10 is so encouraging – perhaps MACK might consider a progression of Schilt’s excellent ‘Grey Matters’ series? 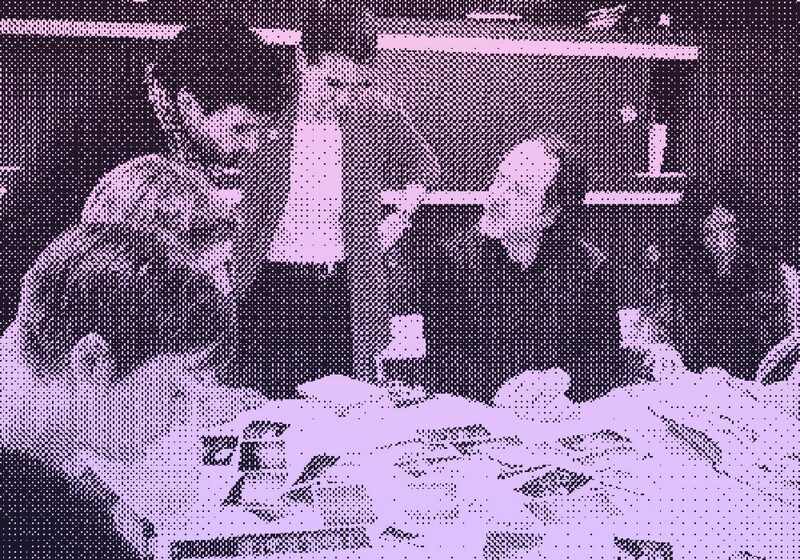 Next PostNext Arts Libris, ELISAVA and PBC Barcelona!